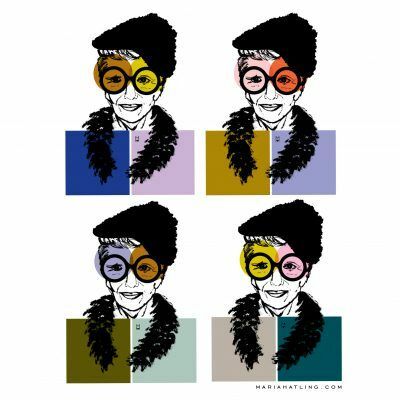 In the world of Maria Hatling bold quirky drawings, colour and creativity rule. In my world bold quirky drawings, colour and creativity rule. My signature hand-drawn prints and patterns are easily recognisable. Maria Hatling is a London based Norwegian illustrator, artist and designer. 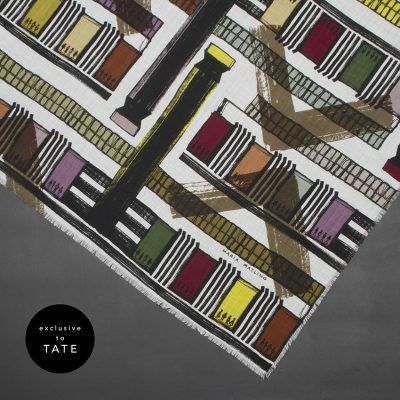 She creates paintings, prints and illustrations used for her own wearable art scarf collection and exclusive scarves for clients like the Tate. Maria’s work and signature style is informed by many sources. Born in South Korea Maria was adopted to Norway as a baby, her bold hand drawn illustrations, rich in texture, will always echo her childhood experiences growing up in Scandinavia. Mixed with the experience of living and working in the UK for the past fifteen years, her visual language continues to evolve and takes shape within her graphic designs each season. ‘The way I see the world in colour and repeat’, Maria’s online journal shows in detail how she works with and idea or project from primary research to finished product documenting and sharing the process and discoveries through a visual diary full of colour and stories. Limited edition fine art prints and original paintings in different techniques to be mixed and matched to you personal taste. Maria specialises in creating site specific illustrations used for exclusive single scarves and collections. Maria's collection of wool, cashmere and silk scarves are easy to wear and style. The handfeel is lightweight and luxurious. Her designs look perfect with that special coat or jacket but also works well styled with a simple knit.